Hi there ladies thanks for always checking here. You know I’m in a bit panicky moment right now it’s almost classes’ time and nothing concrete happening from the Headmaster’s office regarding the transfer case of my son. Geez, how this headmaster out of her office every time, but praying we’ll nail it tomorrow. On the other hand I’m thinking of applying for a loan. I swear, in times like this you can’t help but look for alternative source of enrollment fund. Though we’ve prepared for this, sometimes there are unexpected circumstances beyond our control. 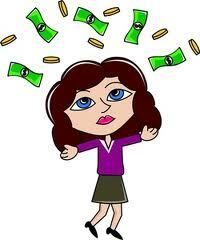 I heard one can source as high as $1,500 for Quick Payday Loan online, that’s more than enough to answer my problems. Need to try really all possibilities, this might work. Aw! I have the same dilemma. Good luck to us!